According to the burden of Stroke report, in 2015 only 1% of Romanian stroke patients had access to treatment in Stroke units. In the absence of robust epidemeological data it is estimated that Romania would need to establish around 100 stroke ready hospitals in order to provide all Romanian Stroke patients the opportunity to receive the care that they deserve. What we have found in many developing countries is that typically there are well established reasons for the situation being what it is however we have also seen that achieving such drastic growth goals is possible when the right people are enthused and dedicated to the cause. For example, in 2010 Thailand had established two stroke units, one in Bangkok and one in Phuket. Following a systematic process of adding 15- 20 stroke ready hospitals per year, Thailand was able to establish more than 100 stroke ready hospitals and provide adequete geographical coverage for the whole country. In our previous edition, we referred to Poland who was able to grow the number of stroke centres from only a handful in 2010 to 170 stroke centres today. Growing fom 1% may sound like a daunting task but this is a challenge that a group of professionals in Romania have fiercely taken on. 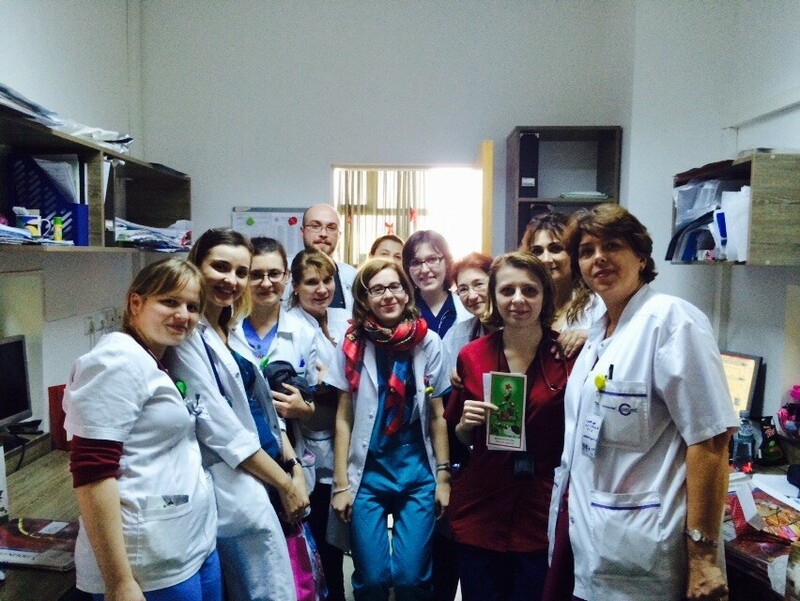 The Romanian stroke community pulled together by Dr Cristina Tiu, has managed to put together a small but strong community with a unified approach and end goal – they want to change the face of stroke care in the country. The community started off with 4 Stroke ready hospitals, servicing their patients in surrounding areas. However they knew that settling for only having 4 stroke ready hospitals could never be enough. Their goal to increase the number of Stroke ready hospitals needed to be tackled fiercely and precisely. Since setting their goals, they have made no excuses and have put in endless amounts of effort to grow the stroke community within Romania. Dr Tiu has groomed, pruned and cared for a unified stroke community, encouraging everyone to work together to improve the quality of stroke care within Romania. As a community they have remained focused, dedicated and have not deviated from or given up on what they want to achieve. By the beginning of this year, Romania has managed to double the number of stroke centres in the country to a total number of 10. This has not been an easy result to acheive as there have been challenges along the way however with the introduction of the Angels Initiative and the assistance of the local Angel, Ligia Bălănean, the momentum and motivation is at an all time high. An additional 8 hospitals have already been identified and are working hard with Dr Tiu’s team to be recognised as stroke ready. Many hospitals have also started capturing their stroke treatment data in the ResQ registry and in May at the ESOC congress the Clinical Hospital of Emergency Oradea was one of the first hospitals to be awaded the coveted ESO Angels Gold Award for the quality of their treatment based on their ResQ data. The team held a Stroke nurse training course attended by nurses from all over the country and are busy doing dummy patient simulations to optimise their own treatment pathways. With their current growth curve, the level of stroke care in Romania is sure to have a different face in the years to come. On behalf of every patient that will receive optimal stroke care in Romania, we would like to thank the Romanian stroke community for working against all odds to give them a second chance at life.